ISC-FICCI Sanitation Award 2018 for the ‘Best Non-Profit Engagement Model in Sanitation’. Gram Vikas won the ISC-FICCI Sanitation Award 2018 for the ‘Best Non-Profit Engagement Model in Sanitation’. The award acknowledged the impact of MANTRA approach in reaching 75,000 families and 1311 villages to create their own sanitation and water infrastructure, benefitting more than 3.6 lakh persons. Ranked 21 among the TOP 100 NGOs World by NGO Advisor for partnering with rural communities to address their critical needs in water, sanitation, economic empowerment, energy and habitat. NGO Advisor is a Geneva-based independent media organisation committed to highlighting innovation, impact, and governance in the nonprofit sector. Joe Madiath, founder and Chairman of Gram Vikas, honoured with Lifetime Achievement Award for Social Work by Parichay Foundation. The Foundation promotes economic and social upliftment of underprivileged women and children in Odisha and Delhi. Ranked 23 among the TOP 100 NGOs World by NGO Advisor for partnering with rural communities to address their critical needs in water, sanitation, economic empowerment, energy and habitat. Ranked 24 among the TOP 100 NGOs World and 2 among the Best NGOs in India by Global_Geneva from a study of over 2000 NGOs. The evaluation studied the impact of an NGO’s actions, the diversity of its interventions, innovation and sustainability. The 2nd Bihar Innovation Forum awarded First Prize to Gram Vikas for impactful social innovation in the Access to Services category on 31 January 2014. The Forum is a one of a kind initiative organised under the Bihar Rural Livelihoods Project to find scalable and innovative solutions that help rural and marginalised communities access better livelihood opportunities, goods and services. Gram Vikas won, London-based, Stars Foundation’s first Impact Award in WASH (Water, Sanitation, Hygiene). The Stars Impact Awards recognise and reward outstanding locally-led organisations improving the lives of children and young people. Since 2007, the Impact Awards have recognised civil society organisations in 42 countries, reaching more than five million people. Won the Grand Award at Global+5 for the sanitation programme transforming rural livelihoods in eastern India. Global+5 was the first ever festival of global governance organised by The Global Journal in Geneva. Awarded the Think Odisha Leadership Awards 2012, an initiative by the Times of India and TEFLA’s. It recognises and honours individuals and organisations, who have contributed consistently to the betterment of the state of Odisha through their pursuit of excellence. Gram Vikas featured in the inaugural Top 100 Best NGOs list by The Global Journal. The ranking recognised the significant role of NGOs as influential agents of change on a global scale. Joe Madiath wins the Best Social Worker Award 2011 from the Vivekananda Institute of Social Work and Social Sciences (VISWASS), Bhubaneswar. Awarded the Water Digest Water Awards, supported by UNESCO, in the category Best Water NGO – Water Supply. Established in the year 2006, the awards honour distinguished work carried out by various companies/NGOs/Individuals in order to treat/ recycle & conserve water. Lok Samman 2009 conferred on Joe Madiath for his 40 years of dedicated service in the socio-economic development of the poor. Skoll Awards for Social Entrepreneurship 2007 to Joe Madiath of Gram Vikas for bringing sustainable sanitation and clean water facilities to Indian villages. Instituted by The Skoll Foundation, the awards honour and support organisations led by social entrepreneurs with a demonstrated track record of pioneering social innovations and offering measurable objectives for increasing and expanding the impact of their work. Joe Madiath received the Lifetime Achievement Award from Jayadev Institute of Social Sciences and Research (JISSR), Bhubaneswar, Odisha, for his work in the field of social entrepreneurship and empowerment of the poor. 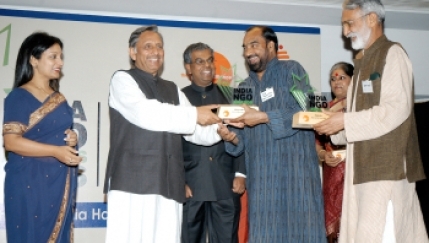 Won the India NGO Award 2006 instituted by The Resource Alliance and The Nand & Jeet Khemka Foundation. The award recognises NGOs with professional management, innovation in and diversity of local resource mobilisation and effectiveness of the programmes in positively impacting the lives of the communities they work with. Gram Vikas was one of the Top 3 Winners of the Ashoka Changemakers Innovation Award in two categories of ‘Affordable Housing’ and ‘Health for All’. Awarded the Kyoto World Water Grand Prize at the 4th World Water Forum, in Mexico City. An international award jointly organised by the Japan Water Forum and the World Water Council, the prize focuses particularly on organisations with a record of innovative and expandable grassroots activities that may serve as a model for others. Won the Dubai International Award for Best Practices to Improve the Living Environment 2006. The award recognises and enhances awareness of outstanding and sustainable achievements in improving the living environment as per the basic criteria established by the Second United Nations Conference on Human Settlements (Habitat II) and the Dubai Declaration. The Rural Health and Environment Programme recognised as a Good Practice by the Municipality of Dubai, UAE and the United Nations Human Settlements Programme (UN-Habitat). The award recognises best practices, which are making outstanding contributions to improving the quality of life in cities and communities around the world. Won The Tech Award 2003, for the community managed Vertical Shaft Brick Kilns, awarded by the Tech Museum of Innovation, San Jose, California. The Rural Health and Environment Programme won the World Habitat Award for successfully demonstrating how communities can be involved in the sustainable and affordable development of their own community infrastructure and housing. Established in 1985, jointly by World Habitat, an independent charity and UN-Habitat, the award identifies and promotes good habitat practices. Won the Most Innovative Development Project Award from the Global Development Network of World Bank and the Government of Japan. The award was for the Rural Health and Environment Programme, recognised for being a model of convergent collective action among poor rural communities in Odisha. Joe Madiath was chosen as the Outstanding Social Entrepreneur by the Schwab Foundation for Social Entrepreneurship, Geneva. Dr.K.S. Rao Memorial National Award from the Solar Energy Society of India (SESI) to Joe Madiath for outstanding contribution to the development of energy from new and renewable sources. 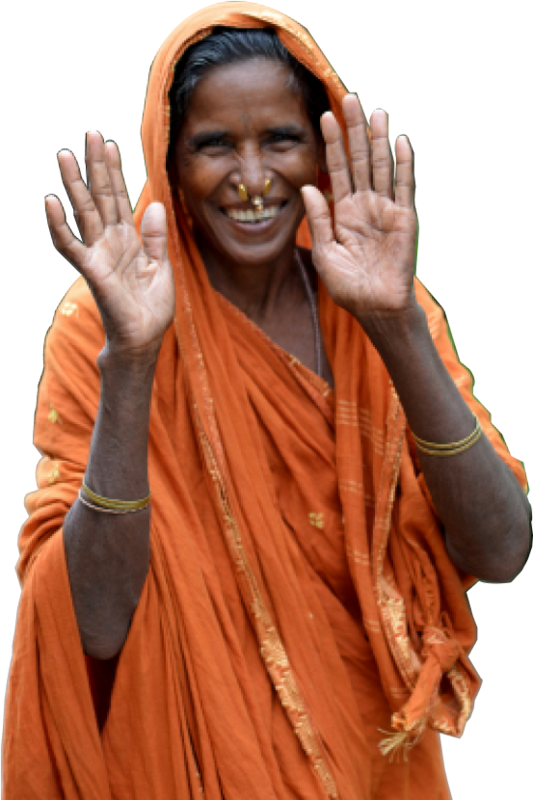 Won the tenth annual Alan Shawn Feinstein World Hunger Award for the prevention and reduction of hunger among the poorest people in India’s remotest villages. The award, sponsored by Brown University’s Alan Shawn Feinstein World Hunger Program, was established to address the long-term persistence of hunger in a world of plenty through research, the development of unique resources, and public recognition. Won the K P Goenka Memorial Award from the Asian Cables Foundation for significant efforts in renewable energy technologies. Award from the Department of Non-Conventional Energy Sources (DNES), Government of India, for popularisation of biogas in the voluntary sector. Won the ‘Prakruti Mitra’ (Friend of Nature) Award from Government of Odisha for contribution to environmental protection. Our volunteers have got clean water to villages, digitised schools, filmed stories from the field and much more. Come, be a part of the team.